Jerusalem - The Israeli army has arrested an American professor, who stopped the Israeli authorities from demolishing the houses of Muslims at the Gaza Strip. Israeli soldiers arrested 66-year old Frank Romano and moved to the prison in Bethlehem, a town in the south of Jerusalem. In this regard, Attorney General Gabe Lasky said that the Supreme Court would be hearing a very early trial against the American professor. A friend of the arrested Professor Frank Franco told us that the professor also holds the citizenship of France. He was arrested along with 2 others. 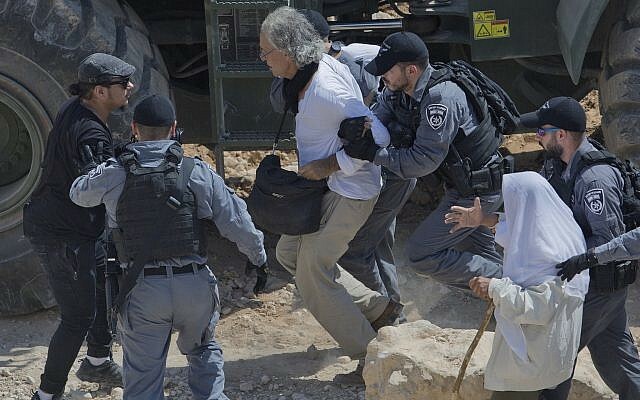 Israeli soldiers arrested the American professor along with 2 and accusing them of a creating disturbance in the area. On the other hand, law enforcement writer Frank Romano, according to social media accounts, he reads law, history, literature, and philosophy in the Press University and practices law in America and France.